With powerful self-service BI tools such as Power BI comes the need for business user data entry; data does not exist in source systems or does need to be enhanced / enriched before going into the report, or the business user just wants to change the way the data is organized. In those cases (which are present more often than not) we need to find a way to give the business user an easy to use way to do data entry while keeping it robust: i.e. not use a tool the user could easily make mistakes in and hurt the reporting process. You could use Excel but you would have to secure it so no mistakes can be made. Also, SharePoint lists are a good option if you have less than 5000 data rows (that’s the hard limit in SharePoint Online). If you need to store a lot of data and need a robust solution, Access Services or Access Online is a great tool for the job and the best part is it works perfectly with Power BI. 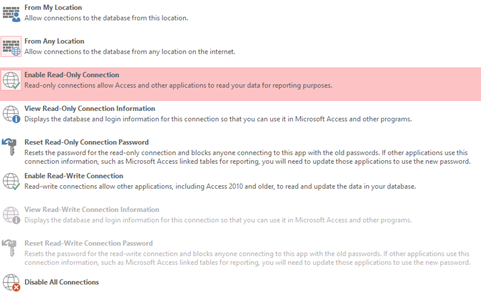 Perhaps the biggest change in Access 2013 is that it now stores that in SQL Server Databases rather than Access files. 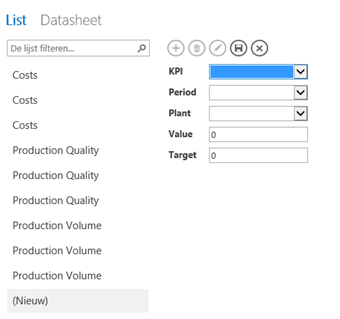 In this post I will show you how to build a sample application concerning reports on KPIs for production plants around the world. 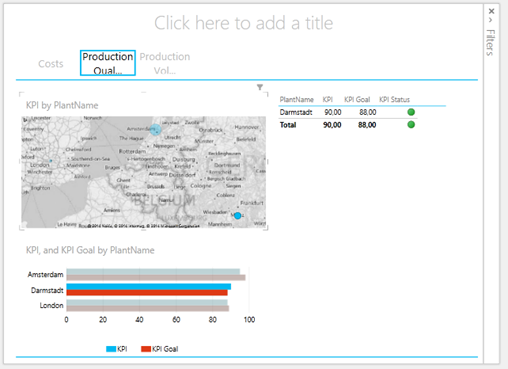 The data is entered by the business user using a web form generated by Access and the dashboard is created using Power BI. So here we go. I entered some test data and saved the app. Imagine your business user just entering their data in here. -From My location or From Any location. I chose from Any. Now, click on ‘View Read-Only Connection Information’ and leave it open for now. You will need to later. 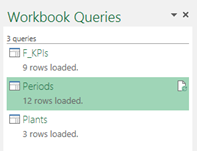 Next step is to start Excel, go to Power Query, select From Database à SQL Server (and not Access since data is stored in SQL Server by default in Access 2013). This concludes this Power BI Pro Tip!